Multi-brand electronics, IT, mobiles, gaming, camera and home appliances retailer in UAE. All comments on this blog are those of individual authors and don't reflect the views of the company. Where else to find Jacky's on the Internet? Will we see a gaming television soon? 2013 is supposed to be the year we hear about the new Sony Playstation 4, a new version of the Microsoft XBox and possibly an Apple television. While the first two are supposedly ready to take gaming to the next level, the real surprise could come from the latter possibly. We've all heard about what Apple wants to revolutionize television and from whatever tidbits of information we heard from Steve Jobs in the past or from Tim Cook comments since he took over as Apple CEO, how they plan to go about doing this isn't clear. Steve Jobs when speaking at the All Things D conference in 2010 spoke about the bottleneck in television being in the way content was being distributed. He took a dig at the set top boxes that we have in our homes saying that this is where the problem lies for television as this was holding back innovation in the television industry (I highly recommend watching Jobs talk about this in this video link). Apple has time and time again shown that they look at each product holistically and it is not about designing a piece of hardware or software but completing all the parts of the jigsaw that define that experience. This has been their achilles heel in the television industry till now but it is also about understanding what do you use your television for these days. 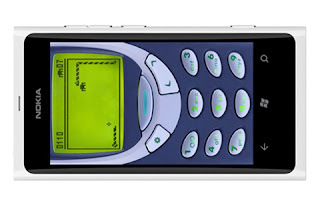 mobile phones back in the day? I then came across an article in TechCrunch this weekend then that made me re-think where Apple may be going with their television project. By introducing the Apple AppStore, game developers suddenly found themselves with millions of more customers that they never had to access to earlier. Gaming had moved from consoles, handheld devices, PC's and mobile phones to iPods, iPhones, iPads and the Mac. Platforms like Android, Windows 8 and Blackberry OS have tried to replicate this formula but where all of them have struggled has been how do you move that experience to the best screen in your house to enjoy it on, which is your television screen. The fact is, not everyone is going to buy a console. As great a job that Microsoft does in selling consoles and introducing us to gesture based gaming like they did with the Kinect, not everyone needs a console for their day to use. Both console manufacturers have played up the fact that they see their products as entertainment devices but it is ultimately an entertainment device that ultimately is used for gaming. Apple could potentially be approaching it from the other side and release an entertainment television that also supports gaming. The problem that Apple has spoken of with content distribution isn't as much a problem when it comes to gaming as a lot of this has largely moved to cloud-based or AppStore based models. The same is also starting to happen now with a lot of the other entertainment content that Apple sells on iTunes but the gaming industry is probably the easiest to target at this stage on a global level. Sony for their part could and should be on top of this. They've got the television and gaming experience in-house but unfortunately this experience has struggled to move beyond the silo's that Sony has housed them in. I'm glad to see that Sony will have a new PlayStation being announced on February 20th but would've happier to see them introduce a PlayStation Bravia television that completely knocks our socks off. That would've seen them change industries in one go and differentiate themselves from Microsoft and Samsung. It would've seen them find a way to make you spend or upgrade your television more often by introducing newer, sleeker, quicker versions of the PlayStation Bravia television. It could've seen them raise their price points and do something that no other television manufacturer could do today. Instead, it's let dreamers like me imagine that Apple would be the one to do this and hopefully 2013 is the year it happens in. The Blackberry Z10 officially went on sale in the United Arab Emirates this week and this should be a device that helps Blackberry make a comeback of sorts. For many years now, Blackberry devices were behind the curve as far as innovation went but with a brand new operating system called Blackberry 10, we've seen the first of a new generation of devices that helps put the Blackberry brand back on the map again. If you're reading this, you're probably wondering if the Blackberry Z10 is the device for you or you're genuinely interested in knowing what my take on this device has been. I've therefore decided to put a review of sorts up on the blog and done it from two angles. One from that of a Blackberry customer (which I was until I gave up my device in October 2012) and the second from that of a customer who is on Android or Apple's iOS (which I am at the moment). I've also done this review on the basis that I've been using the Blackberry Z10 now for a little over ten days, thus a lot of the issues that most users would have initially in learning a new UI won't be issues that I may necessarily highlight. I will also reference some points from my previous blog post entitled "What RIM needs to fix with Blackberry 10" as I had spoken quite extensively of what needed to be done with this platform. To start with though, I've put in a comparison chart below of what I see as key features / aspects of the Blackberry Z10 from the perspective of an existing Blackberry user and that of an iPhone / Android user. I've elaborated further on my justifications for these points below. BB 7 or older devices take a minimum of 5 minutes to boot, the Z10 has so far taken only about a minute for me. 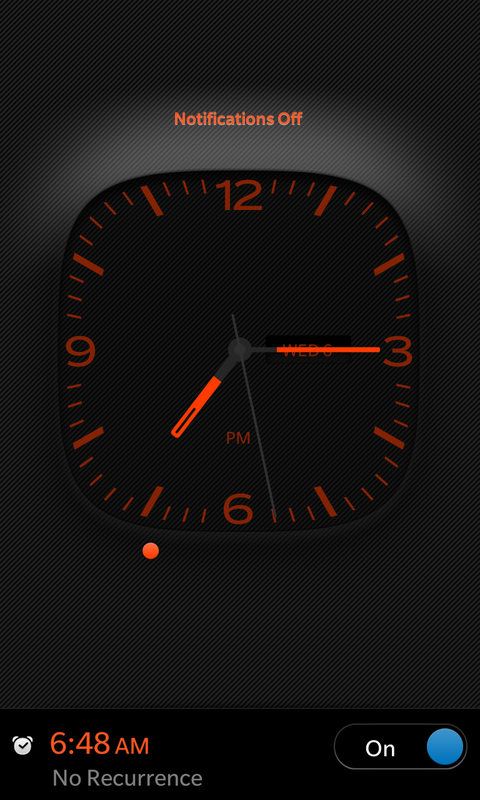 A minute to boot is bearable as it takes nearly the same time on an iPhone or Samsung Galaxy like device. Anyone with a BB device is familiar with the fact that previous generation devices need to be re-started every so often by pulling out the battery and re-booting it. With the Z10, the device seems more stable though I have had to do a battery pull a few times but perhaps a few of those times it was because I wasn’t patient enough to fix the actual problem. With an iPhone, you can’t access the battery and with most Android devices, you can re-start the device if you’re stuck. 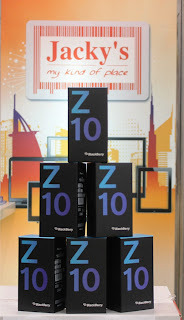 The Z10 is an improvement but not comparable yet to the iPhone or Galaxy when it comes to device stability. Battery life on the Z10 seems to be the same or better than the previous devices thus far. This is an improvement considering this is an all-touch device and uses a more powerful radio. Battery life would be comparable to most iPhones or Galaxy-type devices. Only the Galaxy Note II has better life in my opinion. 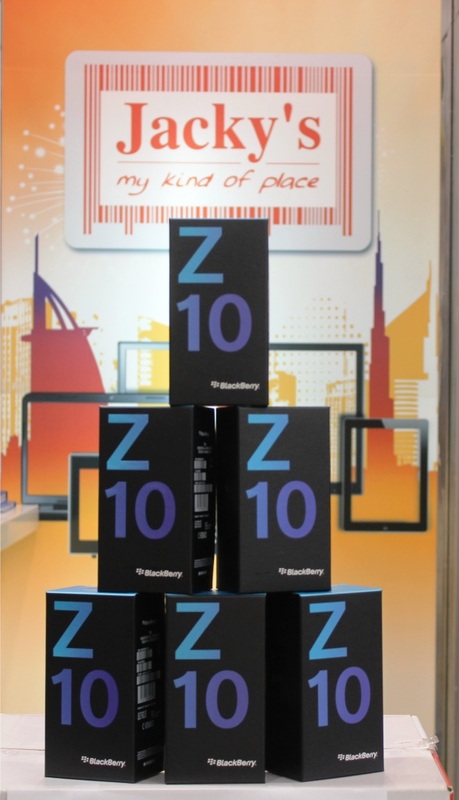 The Z10 operates on a faster HSPA network than the previous generation BB devices which could only operate on 3G. This is a big improvement. HSPA is standard across most devices, most also work on HSPA+. LTE is the new boy on the block though and till date only the Galaxy SIII LTE and iPhone 5 work on LTE in the UAE. The App experience is a big improvement over older BB devices. A bigger screen, a better UI and all-touch mean it feels much better than any App you would’ve run on an older BB device. Apple’s iOS still has the best quality Apps, followed by Android. 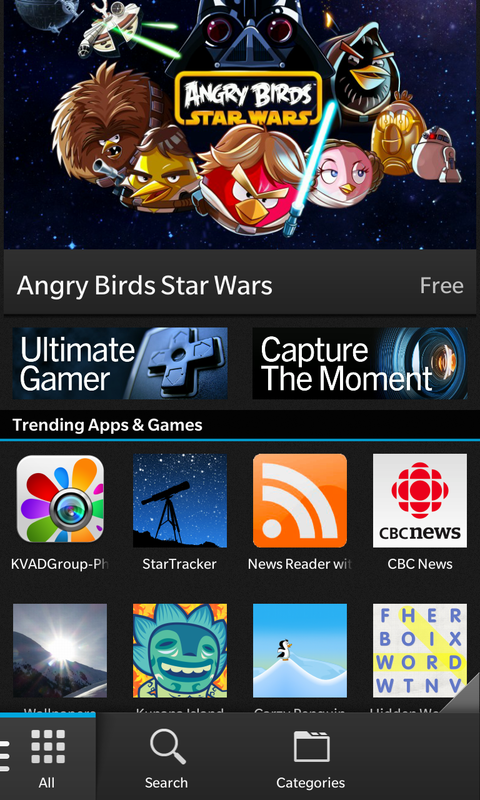 Some Apps like the Facebook or YouTube App still point to the mobile version of those websites on the Z10. I would say this is the same for now though the list of Apps to come is impressive. For now WhatsApp is not yet available but will come soon. Skype, Angry Birds or Kindle are examples of Apps that weren’t available earlier which will come in the future. Apple is far ahead here followed by Android. There is no clarity yet if Google Apps like Maps will ever come to BB10. Same goes with Flipboard, Nike Fuel Band, SoundHound, etc. The Blackberry Time Shift functionality means you can make sure everyone’s eyes are open the next time you take a picture with the Z10. What is missing though is a decent zoom on the Z10 (Click here for demo). Time Shift is something that is unique but the actual quality of pictures isn’t better than an iPhone or Galaxy SIII. The Nokia Lumia 920 is still the king of this category and has a feature similar to Time Shift as well. If you’re using an entry level Blackberry Social package or something similar, this won’t work on the Z10. You need to upgrade your Blackberry data package. Details would be available with both etisalat and du on their websites. If you have a legacy "unlimited" Global Blackberry plan, then you can continue with this on BB10 which is the most cost effective data plan for roaming. The investment on a data package is something iPhone or Android users are used to. The difference has generally been that Blackberry packages have been cheaper. For now, I’d argue the cost of a 1GB package is more or less similar whether BB or non-BB with the recent re-pricing of Blackberry data packages with both UAE telecom operators. The touchscreen keyboard on the Z10 is a huge improvement over any other touch keyboard Blackberry have previously had. For those used to physical keyboards, the transition will be easier than you think (click here for demo). The touch keyboard is better than that of the iPhone with the Z10. Compared to Android devices, it is better than the default client most come with and comparable to SwitfKey on Android, which in my opinion was the best touch screen App. The Z10 has true multi-tasking which is something you don’t really find on the previous generation Blackberry devices. This is all part of what Blackberry has called the “Flow” in BB10 (click here for demo). This means you can move seamlessly between Apps better than you could on earlier Blackberry devices. For iPhone users, they will find the multi-tasking here interesting as you need to go back to the home screen or double tap the home button to move between Apps. In Android, it depends what version of Android you’re using but nothing is quite as intuitive. The next best platform for multi-tasking would be Windows Phone 8. Blackberry’s strength has always been their e-mail client and this doesn’t disappoint. The client still seems as solid as it was on BB7 devices. Mail on the iPhone has proven to be fairly robust as a mail client. On Android though I’ve yet to come across a mail client except for the native Gmail client that I’ve liked. The Z10 is better for e-mail than Android. Blackberry devices have never had the sexiest looking browser but the Z10 is quicker than previous BB devices. Blackberry’s one claim to fame with this phone has been that they’ve got the quickest browser in town. They’ve done a lot of benchmark tests and the best way to test this is over a WIFI connection. 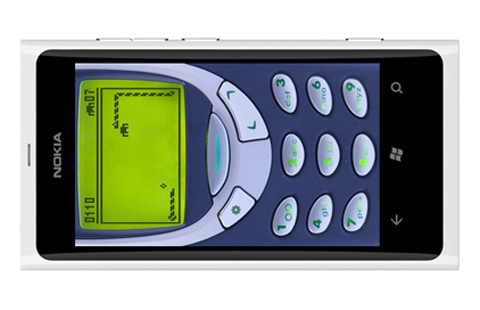 I did this and found the Z10 to be faster than both the iPhone and Android devices I used. Having said that, the Blackberry browser doesn't have multi-device bookmarking functionality as you'd get with Chrome or with Safari. This is what annoyed me most with the previous BB devices. In the Z10, it is much easier to manage when the light flashes and if it needs to flash at all. This means that you don’t need to have an annoying flashing red light everytime you get an e-mail at 3am. This is one reason I left Blackberry last year to iPhone / Android. I’m now back on a Blackberry device because I can disable to the flashing red light. Previous BB devices didn’t have an option to manage push e-mail. 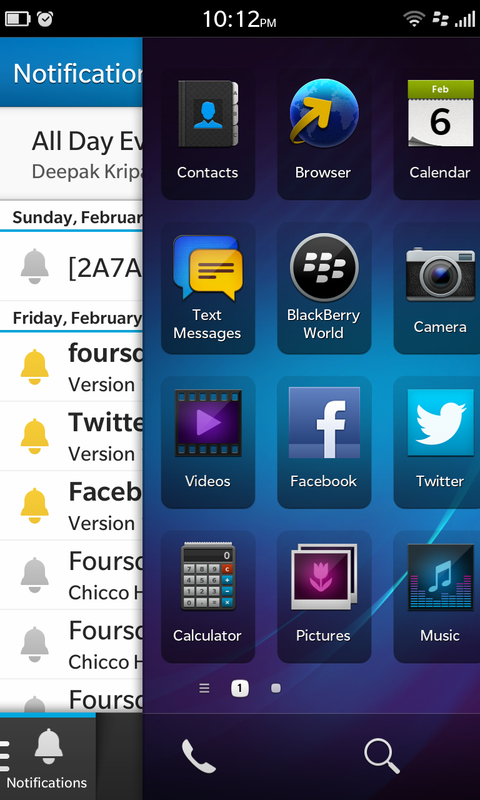 With the Z10, I can now manage when I want to download e-mails better so my personal time is truly my personal time. Managing push e-mail has been something that’s been standard on the other platforms all along. Blackberry uses the “Hub” to manage all your notifications. You can decide what to put in the Hub. This is a big plus over the previous devices as you can flow to and from the Hub from any App seamlessly (click here for demo). Previously, you had a unified inbox that had all your notifications but the user interface was cumbersome. The Hub is a nice concept and an alternative to the drop down notification bars that Android and iOS use. The disadvantage of the Hub is that with iOS and Android you have a scrolling bar on top that gives you a preview on the notification. 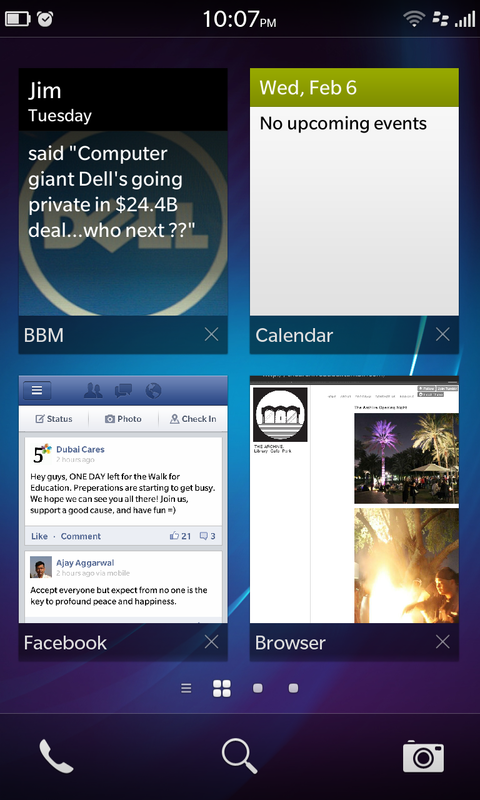 In the case of the Z10, you need to go the Hub and open the message to see what it’s about. There would be many more points that one could add to this exhaustive review but these were what I felt were the most compelling issues I had. For a traditional Blackberry user, the Blackberry Z10 is hands down a big improvement and highly recommended. If you do use WhatsApp though, you may want to wait until the WhatsApp is available for Blackberry 10 devices. I've purposely not compared Blackberry Messenger (BBM) here in this comparison as this is a core function of Blackberry devices and is something that the company will always concentrate on. BBM Voice and Video are disabled at the moment in the UAE so I've not elaborated on this. For an iPhone or Android user, the reasons to switch may not be as apparent and it all comes down to personal preferences. The ecosystem as such isn't as comprehensive but this is something that should improve over time. If more Android Apps can be ported into Blackberry 10, you may see the number of Apps available suddenly increase but the quality of these may not always be to the standard that you would expect from a custom built App. I still don't think any one smartphone is a complete smartphone. Whether I have used a Blackberry Z10, iPhone, Galaxy Note II or even a Lumia devices, I don't think any one phone has proven to be a complete smartphone. There are pluses and minuses of each device so whatever you choose, there will always be a compromise.